You are here: Home / Treatments / Acupuncture / Acupuncture And Stress Relief?! Acupuncture, Stress Relief Means Better Sleep! Stress affects your life in many different but mostly negative ways, and your quality of sleep can suffer greatly. When you lie awake feeling anxious and worrying, it’s challenging to quiet your mind and get relaxed enough to fall asleep. This is why people suffering from chronic stress on a daily basis find it challenging to function in the course of every day life in addition to having lower sleep quality all around. Unless one gets adequate sleep at night, this cycle will only become worse as the body’s level of stress hormones continues to rise. The brain chemicals that are responsible for deep sleep are also the ones that tell your body to cease production of stress hormones. So, when you do not sleep well, the body continues to pump these hormones out, never removing them. The following day will find you more stressed and you will find it difficult to fall asleep the next night. Worse still, these stress hormones usually peak during the early evening and early afternoon when you are supposed to be resting in preparation for sleep. Aside from that, the more exhausted you are, the less you will be able to focus at home and at work, this could stress you out even more. This makes you more likely to snap at your family and friends. For all of these reasons, it is important to explore various stress relief methods when you feel too tense and prioritize finding what works best for you. Acupuncture can be extremely beneficial in helping people relieve stress and get better sleep. Insomnia affects millions of Americans, causing then to get less than 7 hours of sleep on a regular basis. This can add up over time and have bad results if you do not find a way to take care of the stress in your life. Acupuncture, not as scary as it seems! Acupuncture is an ancient Chinese medical approach, it’s been used and practiced around the world for thousands of years. 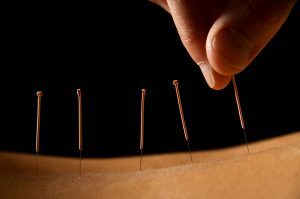 The acupuncturist will insert thin, long needles in different area of your body along various energy flow points known as meridians. 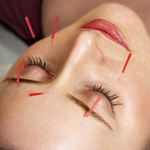 These needles are virtually painless and are merely there to open life energy channels that have been blocked. When one’s spiritual and physical energy flow shut off, the body will respond with sickness symptoms and general problems, including insomnia. Such specific symptoms are a sign of energy blockage and the best acupuncture in Cary NC can help to relieve this. Acupuncturists have been using these methods to treat insomnia successfully for many years and they continue providing relief to those who need it. According to Chinese medicine, there are different kinds of insomnia. Late/terminal insomnia or waking up very early in the morning and being unable to go back to sleep regardless of the time this happens. Waking in the middle of the night and being unable to sleep again quickly following that. The symptoms of insomnia cannot be cured within a single trip to an acupuncturist, you will be advised to come back for subsequent treatments several times a week for some time. This also depends on the type of insomnia you are experiencing. Combining these regular alternative treatments with better personal care will have you feeling much better in a short time. You have to face the problem both in the office and at home, you can’t expect treatment alone to totally take care of your problems. If you make the effort though, you can expect amazing results! A combination of acupuncture and self massages at stressful points can be just the solution you need! For more information on this and more, visit Preston Family Chiropractor’s site! You can also call at any time that they’re open with any questions that you may have at (919) 238-5040 and they’ll be more than glad to answer!